Each group will set off after the main group doing the normal Saturday route. Faster groups will go first. These sessions get more regular as November approaches. Unless otherwise communicated they will take place regardless of the weather – it could well be raining in Nannup in November. Each team will be on your own for these rides. Well you asked for the extra night’s accommodation on Thursday and we booked it all – now it’s time to pay. The cost is $100. Go to the spr shop and pay before October 30 please. There is a button. This is your final payment. If you haven’t already done so can you please email me a pic of the back of your race licence. That way I can go and get all your numbers and timing chips at rego. An excellent night on Monday going over the course. When Paul George talked about struggling up Day 2 remember he had a 28 on the back and a mid compact on the front and he is very strong. If you have 53/39 on the front you might need a 30 at least on the back. I know Shane White is going 32 and having to put some special fitting on to accommodate it. These are the people you will give your Sunday lunches to. Who will try and help you with transport and the logistics of it all as much as they can so work with them. We have decided to book the Thursday night accommodation to make it easier for you on the first morning. It will cost you an extra $100. Please make sure you have paid all the money owing. We will be adding an extra button in the SPR shop so please go there in the next couple of days and pay the extra $100. This was the wish of the majority. I’m sorry we’ve taken a while to decide to do this but we’ve been a bit busy with Beverley. We are not booking the volunteers house for an extra night so you might have a collie staying in your house for a night. Don’t forget Monday night 23rd October at Dome at 6.30pm for a discussion on tactics and what to expect. From what I hear training is going very well. There were some exhausted and happy faces at Dome today. Great to see the bonding. I shall be sending out the house allocations over the weekend. Well it’ll soon be here. We are still short one male racer so if anyone you know is keen then please ask them to get in touch. We have organised a bit of a catchup on Monday 23 October at 6.30pm at Dome in the city to go through the courses and discuss some tactics. Hope to see you all there – remember you can eat and drink while the presentation goes on. We’ll be talking about things like how you’ll need at least a 28 on your rear cassette for the climbing on Stage 2. We are in contact with the TOMR organisers to try and push the start time back on Friday. Or at the very least for SPR riders to go off last at around 11.30. This should do away with the need to book all the houses for an extra night. The SPR general committee is not keen given the slowness of participants to pay up on time. Oh and speaking of paying up on time the final payment is now due and can be paid at the SPR shop on the website. This must be paid by Friday 20 October or your spot will be forfeited. Fortunately the teams seem to be settling down. Get to know your bunch – your strengths and weaknesses. It is probably worth appointing a road captain who can keep you all in line. Please make a decision and let me know who it is for each team. Remember you need to get five riders to the line on the first time trial but only four riders times count on the last day. Who are you going to put on the front, work hard then drop on those days ? Start working with your teams on food and who is going to cook what when. Remember Sunday night is a joint barbecue at one of the houses. I’ll let you know the houses in the next week or so. Good luck with all those racing the Beverley this weekend – or cxing or being heroic. It is a fantastic accomplishment by our Race Committee chair Greg Murray. Thank you also to all the volunteers. At the very least we’ll all get to see the lovely Sarah Smith for the weekend. I have been asked if a 3 day pass is acceptable. According to the website it is. But it might be worth thinking about an annual membership so you can do more races. Well it will be here before we know it. Just so you all know there is a very thorough process to decide who goes in what team. We have looked at Strava times, recent race results, SPR involvement and seen how you all ride on SPR rides recently. It’s been a complicated process but our aim is to match riders up with people of similar abilities. The general consensus seems to be that everyone wants to stay Thursday night. We will go ahead and book the houses for Thursday night. It will cost each of you an extra $100. This will be added onto your last payment. If you have any violent objection to this please email me back today and we may be able to get away with booking one house less for that night. So far two of you have expressed an interest in a massage Friday and Saturday night. If anyone else is interested please let me know otherwise I will organise massages for just the two. We will have plenty of vehicles and drivers so if you want there should be capacity to give you a lift back to Nannup on Day 2. The alternative is a leisurely 50k cruise back. Have a think about what you would like to do. We will organise later this month a detailed evening briefing of each of the segments including some tactics you might like to consider. I’ll book a venue and let you know timing on this soon. It will also be a good chance for all of us to get together socially prior to the event. As far as we know there are 15 women’s teams this year at TOMR. This may affect your strategy particularly for the first days racing. I have posted all timing for the event on the fb page. Please have a read if you haven’t already. If you haven’t already paid your second round of money please do so asap. (Hover over the d to get it to work) We have a list of people who want to join and if your moneys are not being paid your spot will be offered to one of these. Remember, you are either racing or volunteering at The Beverley. Those who have been in touch no need to do so again. We have your emails thank you. We have TTT practice coming up this weekend. It will be on a different route to the normal SPR ride. Route will be revealed on the Thursday SPR email. Be organised. Go hard. Well a strong contingent of SPR TOMR racers at Amy’s. Those hills will stand you in good stead for the ones in Nannup. Congrats to Elar for taking out B grade yesterday. Remember if you pull out now you are up for not just your deposit but the full cost of entry should we not be able to replace you. If we can find another rider it might well mean a reshuffle of the teams so be prepared for that. You should have paid your second payment by now. If not please do it today. Go to the SPR shop on the website. Hover over the “d” to get it to work. I have looked into getting some massages after the race on Friday and Saturday. The club can’t afford to pay for you all so you will have to fork out for it yourself if you are interested. I am happy to organise it on behalf of those who want one. It will cost about $90-100 per hour so if you want a half hour massage it will be half that. If you can email me back please I can work out who wants one and times. It might be that the massage station is set up at just one of the SPR houses so might mean you driving there and back though it won’t be more than a five minute drive as they are all pretty close. As I say it just depends how many people put their hands up. Let me know what day you want and for how long please if you are interested. I apologise for placing the last TTT practice on the same date as Amy’s. The next one is for 7 October but that doesn’t stop you getting out with your team earlier if you want. You should all have had at least one practice with your team by now. If not then I’d suggest you talk to your teammates and organise it. I see plenty of other teams out on the road on a regular basis training for this event. Don’t leave it to the last minute. Beverley handicap is on 14 October. Race registration is now open so get signed up before it fills up. Or email race@southperthrouleurs.com.au and let Greg know about your volunteering or your partner’s volunteering. Getting closer all the time. Hope you are all on track with your training. A great talk by Jessica Gammon at the Old Vic that a number of you attended. The one point that really stuck in my head was that the most important bit of fuelling you are going to do over that 3 days is on Sunday between the two races. Have you thought about what you are going to eat then ? Jessica also made the point that you do not want to be sorting out what works for you on the bike during the races. Practice your fuelling now. A strong turnout by TOMR riders at York last weekend saw some great riding by members across all groups. Good luck for those racing Peel tomorrow. I know that Amy’s is on next weekend and a few people will be away but there is TTT training scheduled for next Saturday. Please stay in your allocated groups unless there is only one of you. We will send you off on a separate route from now on so you do not get mixed in with the normal SPR Saturday ride as happened last time. It kind of defeats the purpose of these training rides if you go off away from your group and ride with your other SPR mates or merge with other groups. This is essential practice for TOMR. Stay in your designated bunch. Learn to work with them. I cannot stress this enough. You will have to organise yourselves at the start next Saturday. Pete will post the course for you Thursday. If you’ve already told me you can’t make this TTT then I have your name. Don’t forget The Beverley Handicap race is on Saturday October 14. It is expected that you will race or volunteer. I don’t want any excuses. If you can find time to race TOMR you can find time to race or help at Beverley. A lot of people are overnighting at one of the two pubs that night so come and join in. Both have good food. The next payment in your accommodation and entry fees is due. Go to the SPR shop and pay please in the next week. It seems at the moment it will cost about $670 all up but there are still a few variables. It sounds a lot but as well as accommodation and race entry you are also paying for fuel for various vehicles that are needed like the club van, drinks after each race and a whole lot of organising on the part of the club. The teams are changing all the time as various people crash. There will still be some changes prior to the event. But please start thinking about the people in your team and planning food, travel, who is going to get the lead out, how long each of you are going to stay on the front before rolling off etc. Just a reminder this is a race series. Partners, parents and friends are not invited to stay with you in your house – the world number one woman might be allowed an exception by the All Powerful Race Committee. You are there to race not to head out each night to the pub for a good time. 1) one effort per week of 4 x 8 min intervals 2 min recovery between. The interval needs to be done at FTP or, at a pace your breathing is laboured. Do these efforts until two weeks before the race when you start to taper. I would also suggest you add in one indoor trainer session per week at Jack Bobridges or Exercise Institute. It’s getting closer. We don’t have any more reserves left so please try and stay upright. Well our first team time trial practise is this Saturday. So come along as normal before 7am and find your team mates. The teams will start after the Main bunch with the fastest teams going off first. Then do the normal SPR route for this Saturday. Do it with your bunch and try not to get tangled up with other SPR riders. But do it with your team mates – roll around/paceline/work together. Go as fast as you all can whilst holding your group together. For some groups this is going to be easier than others. If you have a slower rider then maybe they don’t roll maybe they sit on the back and the rest of you tow them. Work out what’s best for your bunch. The All Powerful Race Committee has done their best to match up riders of similar speeds. However if you feel you are really not matched then flick me an email here or a message on fb and we’ll have a look at it. If you see riders in your group planning on doing the normal bunch ride then drag them out and tell them they must time trial. With 40% of the racing in this format it is vital you get as much practise as possible. Obviously not everyone in your team will be there Saturday. Some are away on work, some are racing at The Worlds in Albi, others are not getting married in Ireland, some are injured, still others have TT races and other bike commitments. Lots of people have been in touch and explained their situations. Don’t worry. Work with the group you have. Get used to riding with each other. Talk. If you are the only member of your team present I will allocate you to another team on the morning. Jessica Gammon is giving a talk on nutrition on Monday 28 August at 7pm at The Old Vic Hotel in Subiaco. $7 entry. Jessica Gammon BHSc (Nat) BE (Hons) BSc is a degree qualified naturopath with a special interest in nutrition for endurance sport. Please try and make it. It has been organised just for your benefit. Other members of the club are also welcome. Collie Donnybrook was a fantastic turnout for SPR TOMR riders. For some it was a baptism of fire. For others a successful day out with Stuart Gee winning second place. Sadly Peter Wilshaw had a crash and is unsure whether he will join us at TOMR. Good to see you all there. Hope you all got a Coke. Sadly the van didn’t quite make it there on the day but it’s being fixed as we speak. Please have a think about the York weekend on 2 and 3 September – you can now sign up for just one day if you want. It is not a handicap race like Collie but a graded race so you will race against riders at your pace. Sadly they have changed the course for the Peel Classic so it is not the race it once was. Up to you if you do this one. I think I will go and race Masters. Then there is The Beverley on 14 September which you are either racing at or volunteering at. Here’s your reminder. It’s time to pony up. We are requiring a $100 deposit from all nominees to get the ball rolling on the ToMR costs. Whilst we are in the process of finalising the costs per rider, we are looking at around about $660 per person. There is a new item in the SPR Shop here named ToMR 2017 Initial Deposit. you withdraw from the SPR Squad prior to team selection, at this time due to be done August 31st. If after August 31st you withdraw, the refund will ONLY be made if a replacement racer is successfully installed in your place. If there are no reserves available from the squad at that time, it is your responsibility to locate a replacement. Remember – SPR is spending the Club’s money in order to pay deposits on the accommodation and pay full Race Registration costs. All payments due from the racers are recovery of that spend. The deposit is due by midnight, Thursday 6th July. Any issues in getting payments through please email in reply and advise. SPRouleurs who have raced it previously, or read here, here, here, here, here or here and you’ll hear how this is one of the best run events going around. 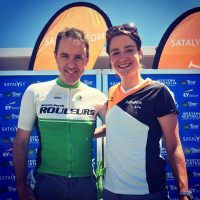 So much fun, and if I haven’t mentioned it before, last year we rode with Marianne Vos. The one and only. True story. Stage 1 42km Team Time Trial sees a start and finish in Nannup. The teams are seeded for subsequent stages, recorded at the 5th team rider crossing the line – tactics count, as you cannot drop (or sacrifice) your team mates. Stage 2 50km Road Race doesn’t let up, following the start of last year’s stage 3 from Nannup to Greenbushes. It’s a hilly course with 2 significant climbs (and needing a ride or a car shuttle back). Stage 3 71km of hills is a tough start to the day, out of Nannup via Kirup to Balingup. 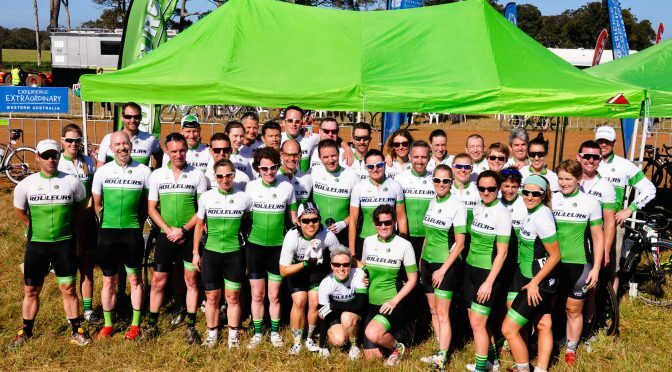 Stage 4, backing up on Day3 is a 42km Team Time Trial from Balingup to Nannup alongside the Blackwood River. 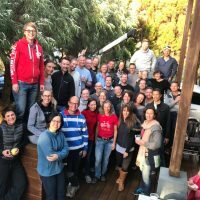 As with previous years, SPR is staying in self-contained team houses of a generous size and based in Dunsborough where we can locate all the teams near each other – this is an SPR Club outing, after all. This year we are running a package-only arrangement inclusive of accommodation and race registration, expected to be around $650. Your expressions of interest will be formed into an “SPR Squad”, with graded teams to be nominated dependant on form and speed down the line – graded by the *APRC and the SPR ToMR Team Manager. Standby.